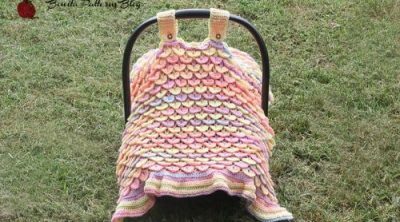 You can create a very special baby car seat cover, tent, or canopy crochet pattern. Baby car seats are very practical and safe for infants. But where can you find a good cover for a car seat? 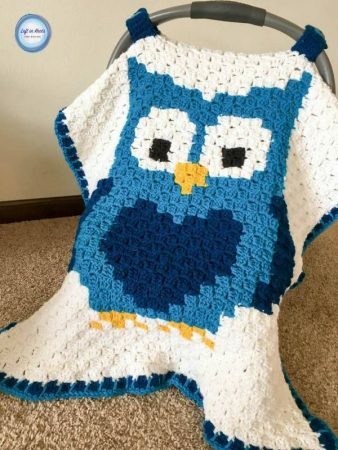 The stores have all sorts of baby blankets and covers, but sometimes they are too big and bulky. You can easily make your own crochet baby car seat covers and customize them as per your needs. Pattern attributes and techniques include Crocodile stitch and Post stitch. 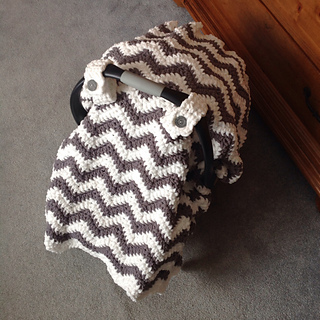 The chevron design is very popular amongst crocheters. 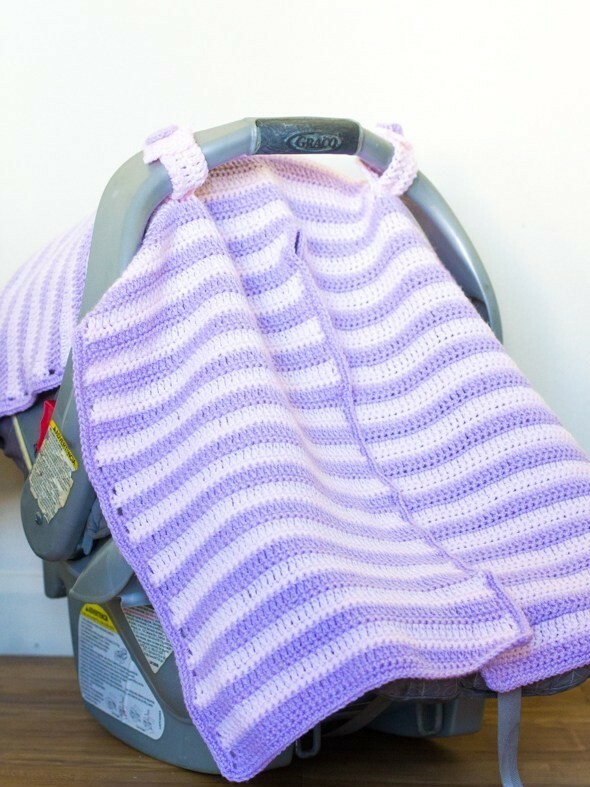 Make this adorable pattern for the baby car and gift it on baby showers to close ones. 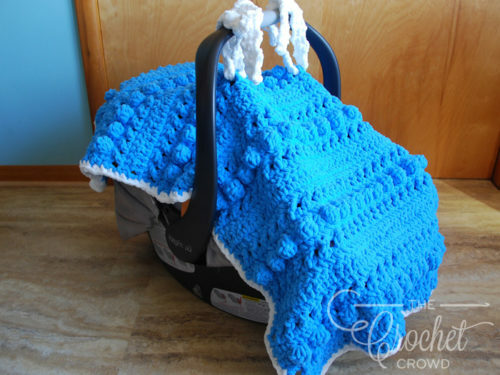 It is made of chunky yarn and is ideal for winters to protect your baby from the cold wind, light, and dust. It will allow your baby to rest inside and have a cozy sleep. 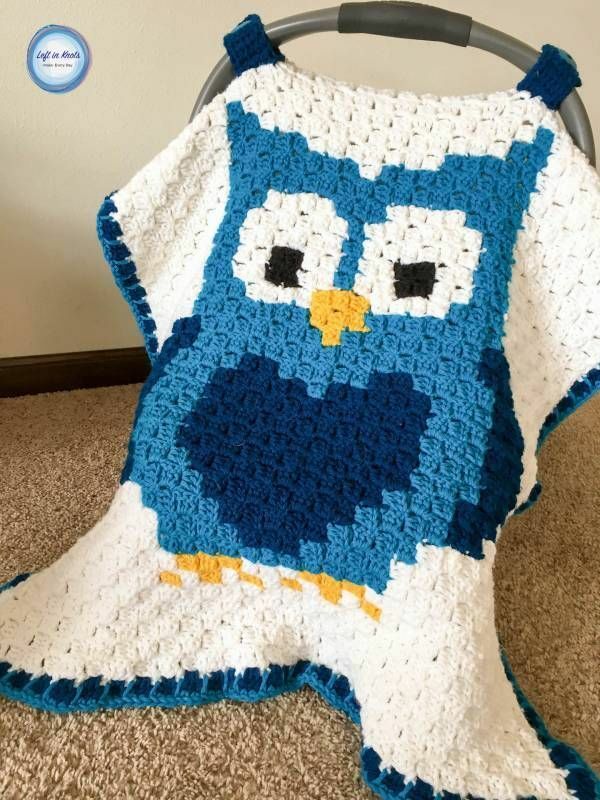 This cute pattern has a split in between to make it easy for you to check and reach your baby. 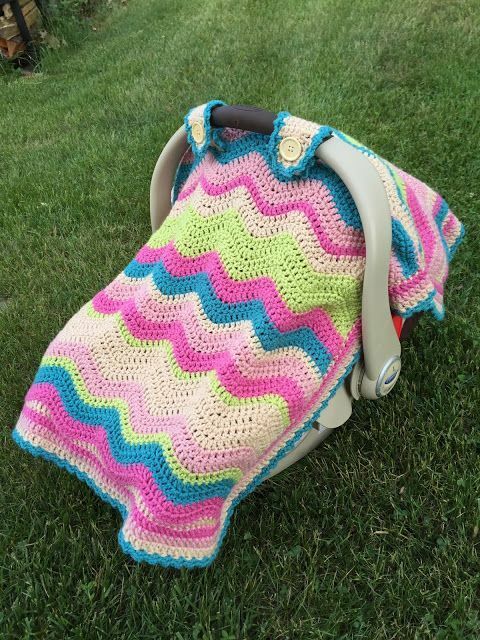 You can use different colored yarns and crochet several covers in different colors, so you have one for each season. You can choose pink colors for baby girls and blue and brown for boys with some vibrant element. The minimalistic design and the personalized name monogram patchwork will be a delight for your baby seat. 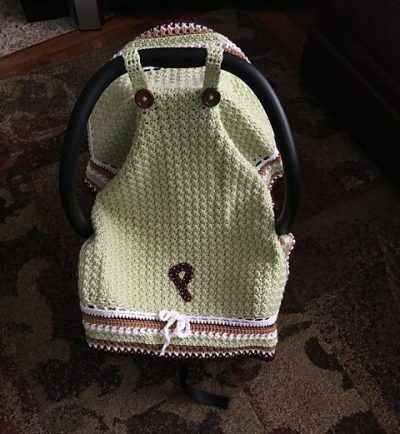 This amazing car seat tent is made by Maria Vazquez and the full instructions are available on Ravelry for free. You can embellish it with lace or very thin borders at the ends to give it a creative element.